Dr. Kuebler’s research has found that in cases of lung edema, or fluid in the lungs, not only do the lungs fail to keep water out as previously believed, but they are also allowing water to pump in. 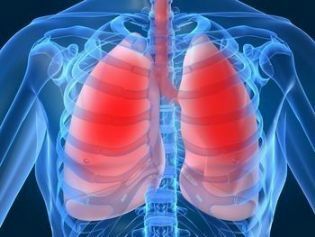 The Lungs main role is to fluid out the air space and this was observed to be restricted in the patients suffering from Lung Edema. But Dr. Wolfgang Kuebler, a scientist at St. Michael’s Hospital observed that this not only stop pumping the fluid out, rather they tend to pump in the fluids in reverse direction. This research finding has shown some important implications for the treatment of lung edema. By Stopping the pumping mechanism turns protective for the lung and important for effective treatment. This shows why Lasix, a commonly prescribed drug, works effectively in treating lung edema — it simply prevents the pumps from allowing fluid into the air spaces.